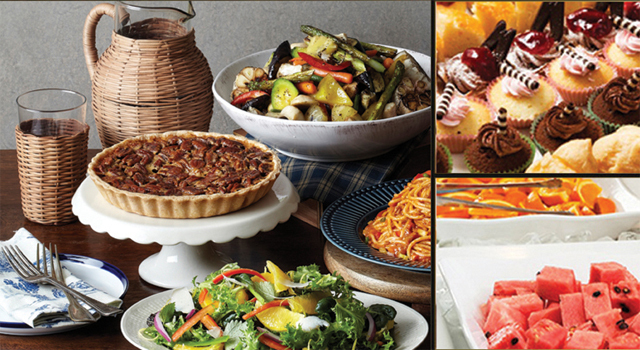 * Booking is required 2~3 days before the tour. * Child: aged between 24months to 7 years old. * 2 participants at least. 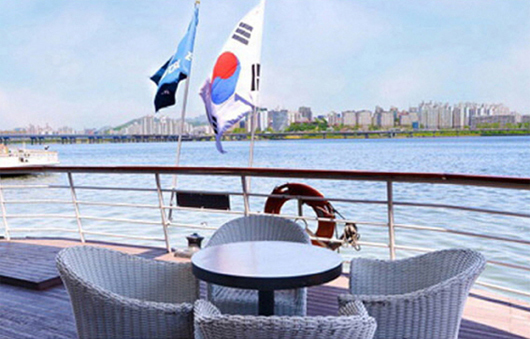 Hangang River Cruise is one of the best ways to enjoy the scenery around the Hangang River that flows through the heart of Seoul. 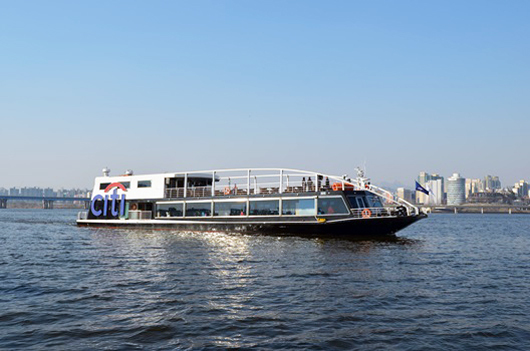 On the cruise, you can see Hangang River’s beautiful scenery, various small islands, Jeoldusan Park, the 63 Square, Namsan Tower, Jamsil’s Multi Sports Complex, and other famous tourist spots. 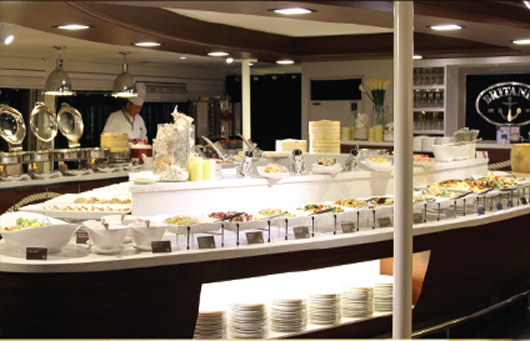 The cruise is often used for weddings, birthday parties, music performances and other events. 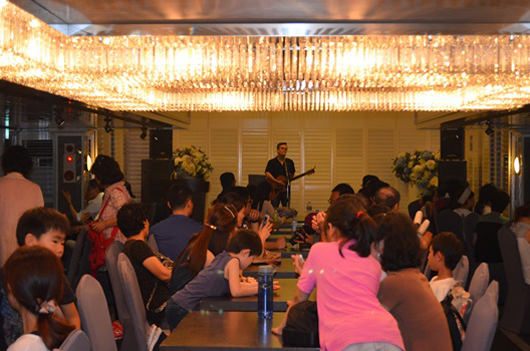 The tours often have live and piano performances. Yeouinaru Station (Seoul Subway Line 5), Exit 3. 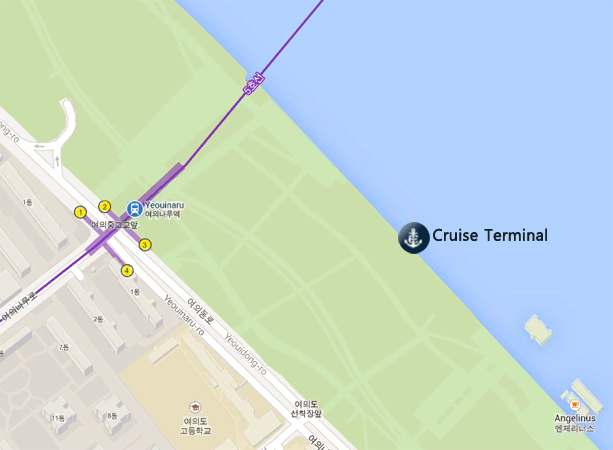 1.Go 300m forward and then turn left at the Yeouido Middle Shool (여의도중학교). 2.Go 150m toward Hangang River and then turn right. 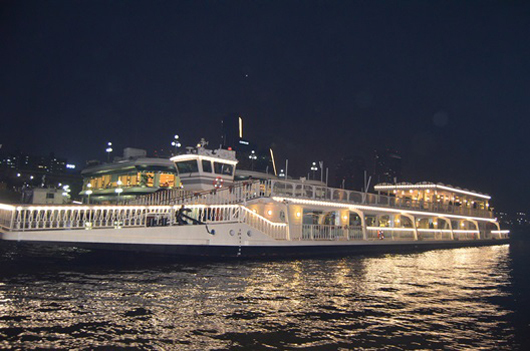 3.Go 70m to arrive at the Yeouido Terminal.